Most of the casinos display this information at the page About Us. All good gambling halls will show the information about the certificate and licenses they hold and which company tests their games to provide randomness and honesty. Choose a casino with games created on the platform of the best software providers (as Real Time Gaming, Vegas Tech, Playtech, and Top Game). Games created with the help of these software companies are of the highest quality and correspond to all the parameters for best online games. The easiest way to check out a casino is to look for the reviews on the Internet. Most of the times you will find reviews of players who have been playing there for a long time and know what they like and dislike. In addition, you can take a look at the casino reviews on our site, as the casinos shown here are some of the best on the web and match up to all demands. 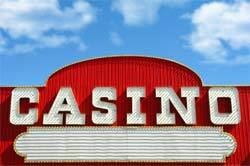 Top online casinos provide a 24/7 customer support which is available by various means. There will be lots of free numbers for some countries, as well as e-mail contact forms, chat and fax numbers. Most of the casinos will show the payout percentage to help you see the long term payouts of this or that gambling room. Take a look at the Banking or Cashier page to make sure there are different ways you can deposit money. Also, check whether the payments are accepted from all countries. Good casinos provide lots of various bonuses, however before you claim for them you should check the terms and conditions page. This page must display the most important information on how and when to make the deposits. If you cannot find a page like this and the customer support does not help, you should stay away from this casino as this is not a good sign.